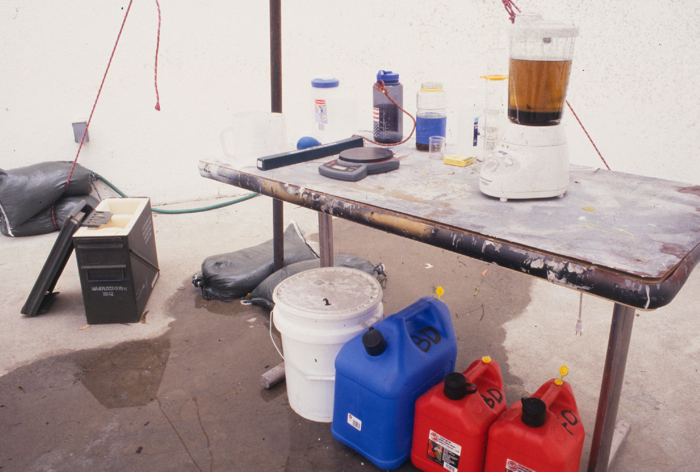 This project features all of the necessary tools and ingredients to process your own diesel fuel from used vegetable oil, presented in a way that references a number of different paramilitary or elicit activities. 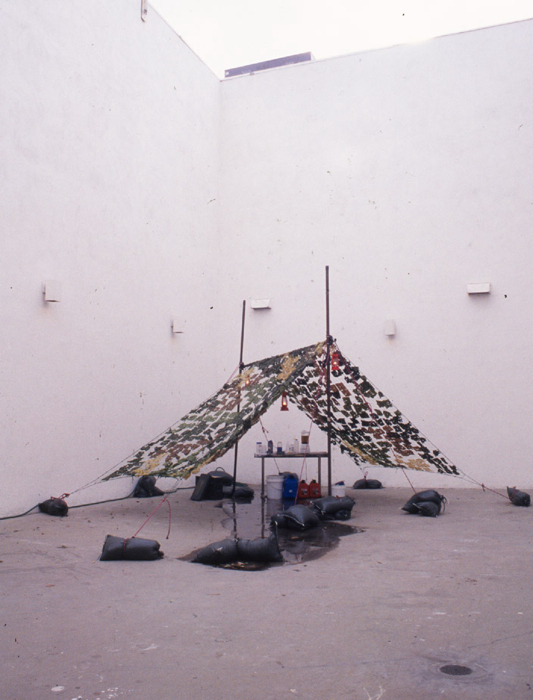 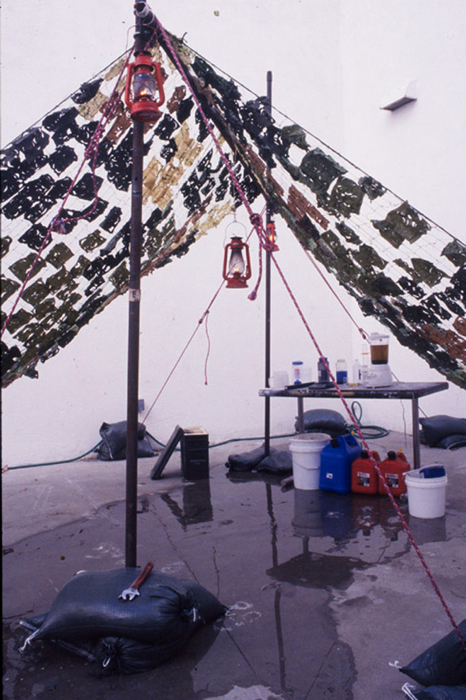 This project was also featured at the UCLA Wight Biennial in 2003, where it featured a portable solar power pole that drew power into the gallery and provided electricity for the appliances. 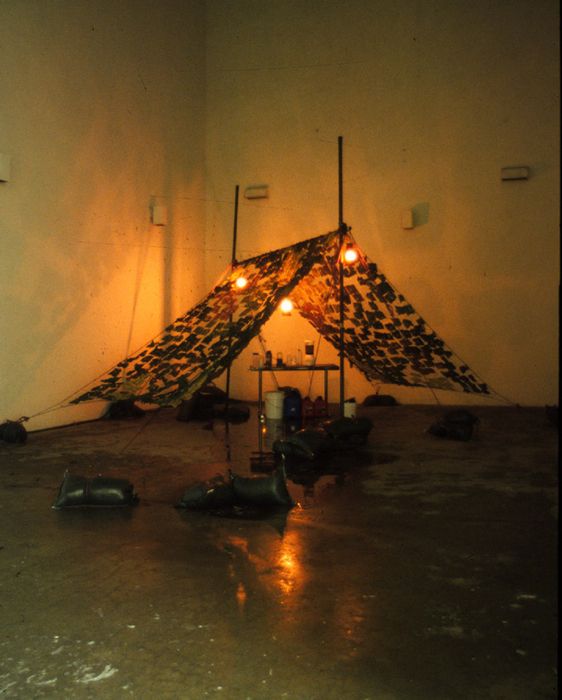 When the appliances are not in use the solar energy was diverted to recharge a group of toy remote control tanks and artillery vehicles.